I keep meaning to make a new post here, and failing on finding either the time or the energy. In honor of Manicure Monday, though, I figured I’d post a few of my recent ones. 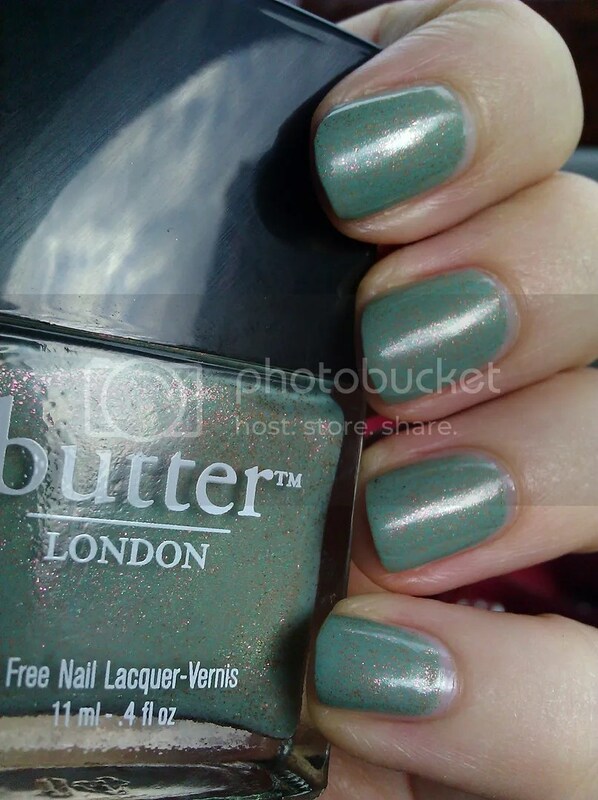 Butter London Two-Fingered Salute. I love this pale jade with a strong copper fleck. 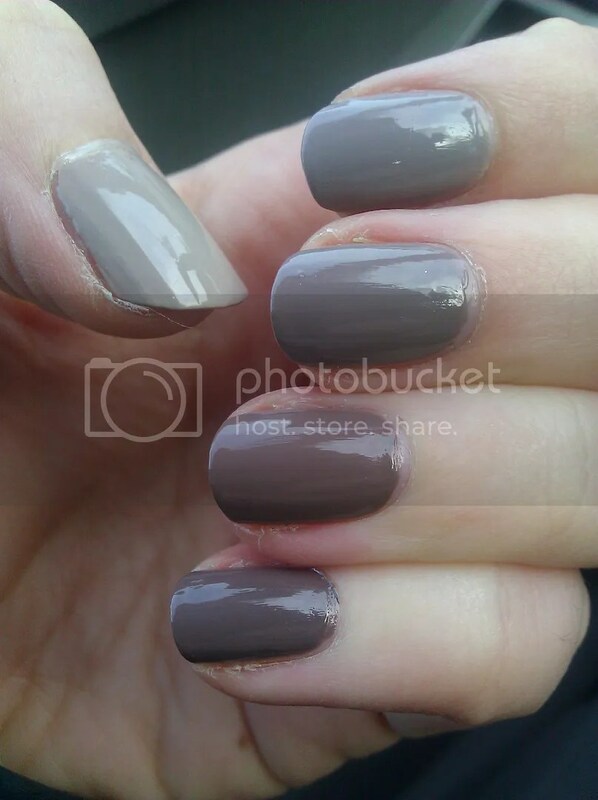 This week’s manicure, a greige ombre. I love all the putty nail polishes, and sometimes the only answer is to wear them all at once! 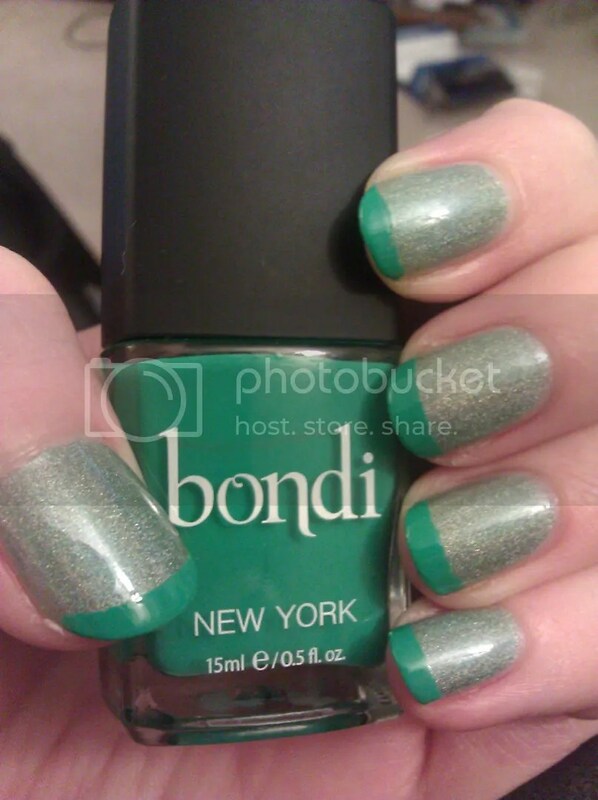 Bondi Teal Magnolia tips over Butter London Fishwife. I loved this so much I didn’t want to take it off, but alas, it chipped. Writing updates soon to come, when I can muster the time! In the meantime, I had an eleventh-hour inspiration for a submission call, so I’ll be working on that until I get the first draft wrapped. Have a great week, all! What’s on your nails? Or if you’re a guy, same goes for you! What would you wear on your nails – or what looks good on your partner?